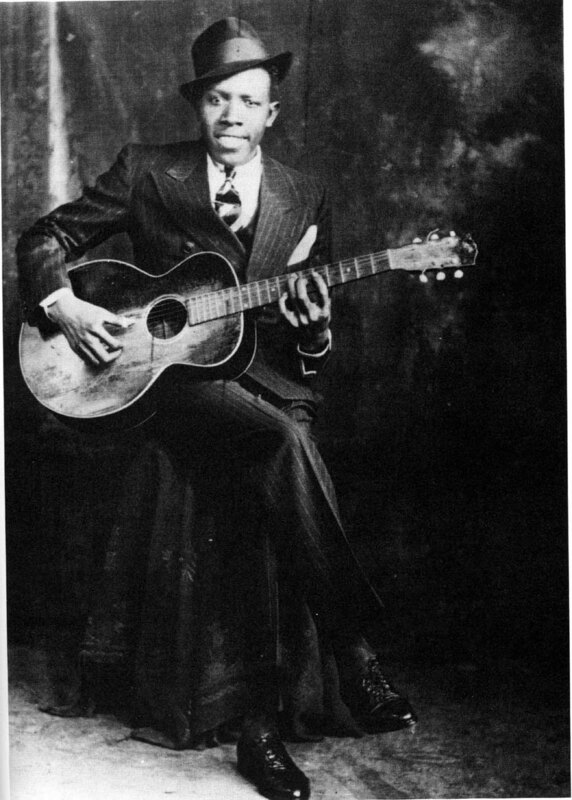 May 8 would have been the 100th birthday of Robert Johnson, arguably the most influential figure in blues music. Of course, Johnson did not live nearly that long – he died at 27 in 1938, leaving a legacy of stirring, influential recordings on 78 RPM records and a bizarrely ill-documented lifeline (only two pictures of him are known to exist, and there’s a legend that he gained his guitar prowess thanks to a deal with the devil himself) – but his legacy remains strong. The 1961 compilation King of the Delta Blues Singers was a massive influence on Eric Clapton, Robert Plant and countless others, and his signature songs (“Hellhound on My Trail,” “Crossroads,” “Sweet Home Chicago”) remain pop standards to this day. 1990’s The Complete Recordings, released by Columbia, was a watershed in the early history of CD box sets, winning a Grammy, going platinum and being selected for preservation by the Library of Congress. Columbia/Legacy now follows that tradition and ups the ante with The Complete Original Masters: Centennial Edition, a massive CD/vinyl box set available online April 26. This limited, numbered set – 1,000 copies will be pressed – includes reproductions of the 12 original 12″ singles that Johnson released for the Vocalion label in between 1937 and 1939 (the discs play at 45 RPM). 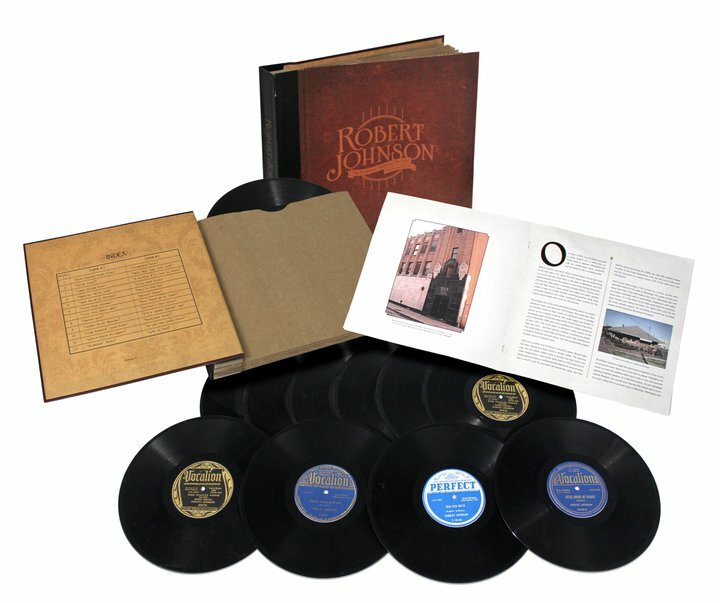 Also included are four compact discs: The Robert Johnson Centennial Collection – a two-disc collection of all 42 of Johnson’s known master takes (including alternates) – and two compilations, Rare Victor Blues – collating other blues sides from the Sony vaults – and Also Playing…, which features other rare tracks laid down during the same session dates that Johnson had in San Antonio and Dallas. Finally, a 1992 documentary, The Life and Music of Robert Johnson: Can’t You Hear the Wind Howl, will be included on DVD. It is known that the Johnson CD set will be available separately. What is not known is whether or not the tracks will be mastered at different speeds, as recent evidence has indicated that the original singles were mastered slightly faster than intended. Have a look at this impressive track list after the jump. The Centennial collection cd’s are available seperately on the Sony site. I checked Amazon but they have no listing for the set as of yet. Sony lists teh set as in stock. Thier price is $15.99. Please leave a follow-up report if it does get announced that some of the tracks get mastered at a different speed. I will likely invest in the set if that’s the case.